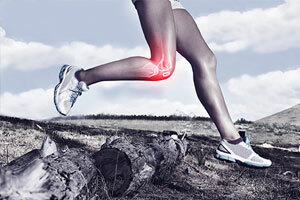 Home » Blog » Are You at Risk for Knee Injuries? Excess weight: Your knees carry a lot of weight every day. With every step your knee is subjected to stresses that are about 1-1/2 times your body weight, when climbing stairs or on an incline the stresses are about 2-3 times your body weight, and while running the stresses increase even further. Aging: Due to the advances in modern medicine humans are living longer and more active lives, but this does take its toll on your knees as well as other weightbearing joints of the body. The normal wear and tear that occurs with age does result in damage to the cartilage, tendons, ligaments, and bones in the knee. Gender: Factors that may cause women to be more prone to developing knee injuries include having wide hips which may cause knee alignment problems, more flexible joints, and hormonal changes after menopause that increase the risk of developing osteoarthritis. Genes: A family history of osteoarthritis might put you at a higher risk for injuring your knee later in life. Overuse:Frequent and repetitive actions involving the knee while playing sports, exercising, or while at work may increase your risk of developing knee injuries. Prior injury: Having previously sprained your knee or torn a ligament in the knee puts you at an increased risk for developing a knee injury. Participating in Contact Sports: Sports such as football, basketball, soccer which may involve contact with other players or cutting movements can put tremendous strain on the knee causing injury. While factors such as your age, gender, and genes cannot be modified; losing weight and maintaining a healthy body mass index can go a long way in reducing your risk for knee injuries. This can be done by eating a balanced diet and performing regular exercise. You can also focus on strengthening the muscles that surround the knee for added knee joint protection. Ensuring you are wearing well-fitting shoes and warming up thoroughly before exerting yourself will further help lower the risk of knee injury. If you have been suffering from knee pain that does not seem to be improving with rest, do contact North Central Surgical Center in Dallas, Texas, for an in-depth evaluation and possible treatment solution.